Test rides are available for young riders, keen to take part in the 2013 National Junior Cup. Eligible for riders between 13 and 18, the one-make championship with see racers using either the new Kawasaki Ninja 300 or modified Ninja 250s. A power cap of 35bhp is the limit for the series. Seven of the nine championship rounds will be held at Bemsee meetings, with the remaining two at BSB (Knockhill and Cadwell). Race-ready Ninja 300s will cost £3999, plus VAT, but you can also find used Ninja 250s from last year’s successful championship. As well as a full year of affordable racing, riders will get the change to be coached by Bemsee’s qualified instructors at each round. 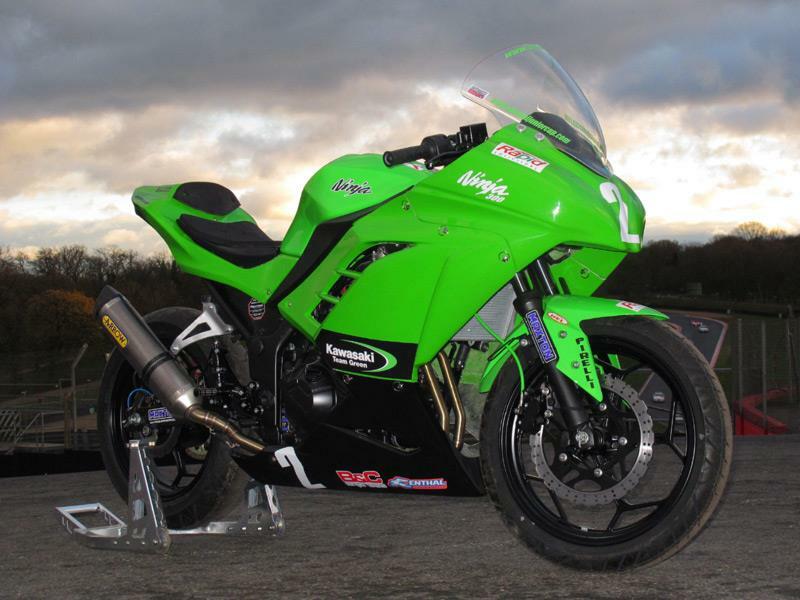 Bemsee will be offering test rides on a new race-prepared Ninja 300 and 250 at the BMCRC Race School at Brands Hatch on 24th of February. All you need is a current ACU licence or prove you’re in the process of getting one. The machines will also be on display at the MCN London Motorcycle Show at Excel from 15-17 February. How do you spot a used bike' issues before buying?